Internet security has become a major concern for most people these days. When accessing the internet, your browser acts as a doorway between you and the web, exposing you to all the security vulnerabilities and threat. Besides, the browser collects and shares your information with all the sites you visit, meaning attackers can have access to your personal data. Related: Top 5 VPN apps for Windows PC. You can use VPN Chrome extension for different purposes including working from home, accessing geo-fenced sites, or bypassing censorship. Today, there are many Google Chrome VPN extensions but the challenge for many people is how to choose the right one for their use. Here we have prepared a few of the best VPN options for Google Chrome users. 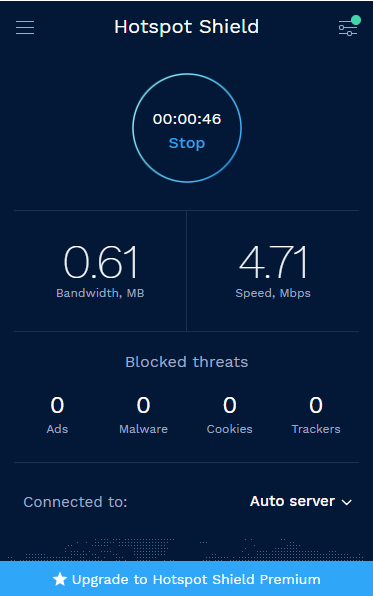 NordVPN is one of the lightweight VPN for Chrome browser and a sure way to guarantee your online privacy and security as well as blocking ads. Strong no-logging policy alongside 256-bit AES and 2048-bit key traffic encryption. Faster proxy servers across more than 60 countries. You need to add the extension from Chrome Web Store and subscribe to start using the service. The plans range from $ 2.99 to $11.95 per month. Popular for its simplicity and stability, SaferVPN is one of the fastest and safest VPN for Chrome browser. Easy installation and serves all apps without any configuration. 500 MB bandwidth every month. Multiple server locations to enable non-restricted access to any website. Online traffic encryption to secure your personal data – No ads or logs. Search for the SaferVPN extension on Chrome web store and add to your browser to start enjoying secure browsing. DotVPN is another free, easy to install and use VPN for Google Chrome. It offers a variety of features ranging from secure access to social tracking sites, unblocking websites, and maximum online privacy to Wi-Fi security. Why use DotVPN for Chrome? Optimized for unlimited bandwidth and speed. Access to any website (including streaming services and social networks). You can sync your single DotVPN account with multiple devices. Unlimited switching across 10+ virtual locations. Secure connection – bypass censorship and identity protection. Besides, it offers encryption with 4096-bit key. Free access to over 80% of the VPN features. Search for and add the VPN from Chrome Web Store. The VPN icon will appear on the Chrome toolbar. Click on the icon and sign up for an account using your email to start. You can select your preferred location from the list. Also, change other settings by clicking the gear icon at the top left corner. Hotspot Shield is one of the highly rated VPN for Chrome. It provides high-security features, unlimited bandwidth and speed to keep you safe from online threats. It is free, unlimited as well as easy to use. Ads, Tracker & Cookie blocking and malware protection. One-click switch and no mandatory sign up. Access to blocked and geo-restricted websites. A variety of virtual locations to choose from with an automatic location switch when need be. Enhanced Security and Privacy – Masking your local IP and personal information from sites you choose to visit or other internet users. A Free package offering 95% of the features and no periodic bandwidth limitations. Add the Hotspot Shield VPN extension from the web store and confirm when prompted. Click the icon on the toolbar and then the sign-in button to connect. This will open the VPN dashboard that displays the speed, bandwidth and active locations. You can access more settings by clicking the menu at the top-left corner of the drop-down pane. ZenMate is one of the free and unlimited VPN extension for Chrome. It offers protection when you connect to public networks and freedom to evade geo-blocking. Moreover, it shields you from social media following, trackers ads and web analytics. Optimal Security and Privacy – Browser encryption to protect your data against websites, ISPs and other third parties access. Unlimited access to all websites – Hides your IP and changes your geo-location, allowing access to geo-fenced content. High speed – Suitable for streaming, torrents and downloads. Smart price feature – Lowest price recommendations for online shoppers. 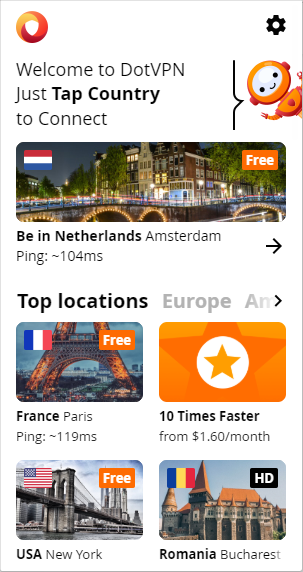 The free package is a great choice, but you can upgrade to the premium service to enjoy more features such as higher speeds, extra location (30+ server locations) and smart location switching. Search for ZenMate VPN on Chrome Web Store and click the “Add to Chrome” button. Create your account and start enjoying free and secure browsing. Click the VPN icon on the toolbar to view the features, change the settings and location. With a variety of VPN Chrome extensions, you need to choose the best for your needs. The above options are our top recommendation for Chrome users. If you are looking for premium VPN app, we use ExpressVPN on Windows 10, macOS and iOS for the past many years. This is one of the best in class VPN extension available for all your devices.